9:00-9:45am: Matt Grob (Executive Vice President, Qualcomm Technologies, Inc. and Chief Technology Officer): 5G: What Comes Next? 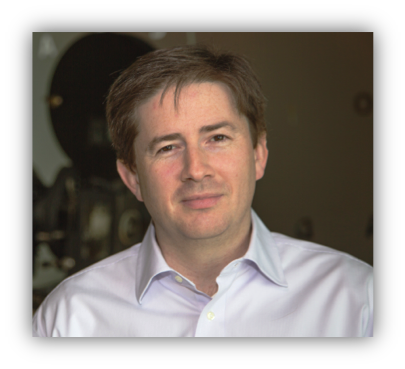 9:45-10:30am: Marcus Weldon (President of Bell Labs and Corporate Chief Technology Officer, Nokia): The Future of All Things and the Creation of Time. Talk Slides. 1:45-2:30pm: John Cioffi (Chairman and Chief Executive Officer, Assia and Professor (Emeritus), Stanford University): How Hot is your Spot?. Talk Slides. 9:00-9:45am: Yongxing Zhou (Vice President, Huawei Wireless Radio Access Technology Department): The Future Radio Access Technologies. Talk Slides. 9:45-10:30am: Chih-Lin I (Chief Scientist of Wireless Technologies, China Mobile): SDX: How Soft is 5G? 9:00-9:45am: Erik Ekudden (Vice President, Head of Group Technology Strategy and Chief Techical Officer, Americas, Ericsson): Innovation in the 5G Network Platform. Talk Slides. 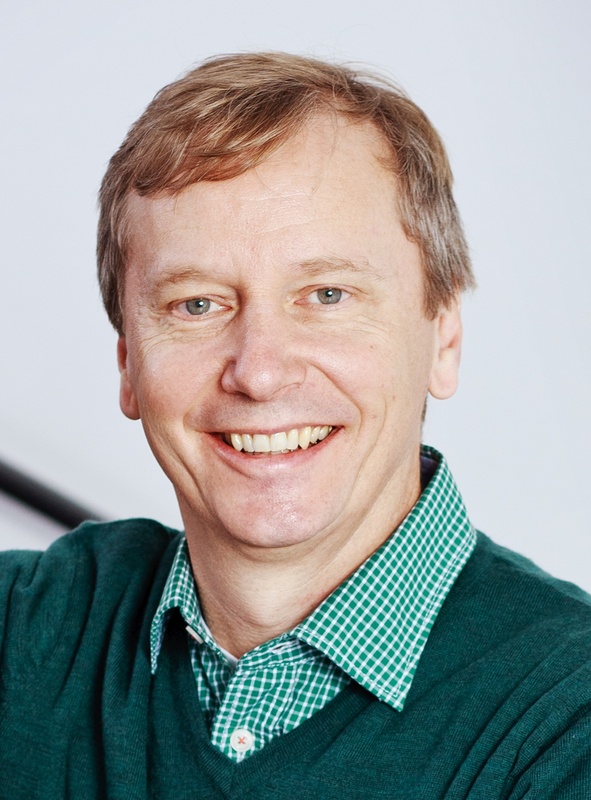 9:45-10:30am: Gerhard Fettweis (Vodaphone Chair Professor at TU Dresden): Challenging the Wireless Terabit/s. Talk Slides. 1:45-2:30pm: Eric Starkloff (Executive Vice President of Global Sales and Marketing, National Instruments): A Platform Approach to 5G. Talk Slides. How Hot is your Spot? Internet consumer quality of experience increasingly depends on connectivity to the spot of a consumer (or thing’s) device. This talk will provoke thought on emerging trends in software-defined network virtualization as related to connectivity, wireless and wired, and the rise of the virtual network operator predicted. The concept of net vitality as a real driver of competition and network investment in the balance between Infrastructure Providers and Virtual Network Operators. Substantial fractions of customers receive 0-10Mbps very often even with the best latest-standard Wi-Fi access points, mobile devices, and/or fiber/copper connections that claim speeds 100x or even higher. This talk will examine some of the issues in such performance and pose some technical avenues to motivation of their productive address within the context of virtualization. John M. Cioffi - BSEE, 1978, Illinois; PhDEE, 1984, Stanford; Bell Laboratories, 1978-1984; IBM Research, 1984-1986; EE Prof., Stanford, 1986-present, now emeritus. Cioffi founded Amati Com. Corp in 1991 (purchased by TI in 1997) and was officer/director from 1991-1997. He currently also is on the Board of Directors of ASSIA (Chairman and CEO), Alto Beam, Tinoq, and the Marconi Foundation. Cioffi's specific interests are in the area of high-performance digital transmission. Cioffi is the recipient of the IEEE’s Alexander Graham Bell, Kirchmayer, and Millenium Medals (2010, 2014, and 2000); Member Internet Hall of Fame (2014); Economist Magazine 2010 Innovations Award; International Marconi Fellow (2006); Member, US National and UK Royal Academies of Engineering (2001, 2009); IEEE Kobayashi and Armstrong Awards (2001 and 2013); BBWF Lifetime Achievement (2014), IEEE Fellow (1996); IEE JJ Tomson Medal (2000); 1991 and 2007 IEEE Comm. Mag. best paper; and numerous Conference Best-Paper awards. Cioffi has published over 600 papers and holds over 100 patents, of which many are heavily licensed including key necessary patents for the international standards in ADSL, VDSL, vectored VDSL, G.fast, DSM, LTE, and various Wi-Fi methodologies. 5G will provide a common network platform - one physical network with multiple logical networks on top of it - that is dynamically set up in a secure way to give industries what they need. It will be able to connect any industry with any end point, whether a device, sensor or automobile. We'll see new as-a-service business models based on this network slicing, which, in the context of 5G, will be like virtual networks on-demand. Workloads will also move further out in the infrastructure to support new use cases that require better user experience or higher efficiency, in what we call distributed cloud. Distributed cloud will also be key to supporting the Internet of Things, which has developed in two primary ways. The first is through miniaturization, cloud solutions, faster processing speeds, and the dawn of big data and data analytics have allowed companies to benefit from real-time data collected from the physical environment. Second, decreasing component costs and cheaper data collection methods have altered the cost-benefit model, making IoT solutions feasible for more enterprises and industries. Erik Ekudden is a Vice President at Ericsson and Head of Group Technology Strategy and Chief Technical Officer, Americas. 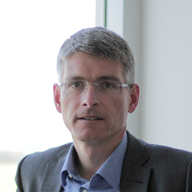 Since 2005, he has been responsible for Ericsson’s technology strategies and industry activities. He is based in San Jose, California. The data rate of wireless access technology has been increasing by 10x every 5 years. At the start of 5G it will be surpassing 1Gb/s for cellular, and 100Gb/s for WLAN access. Hence, data rates of 1Tb/s for wireless access are coming into sight. This creates the challenge of how to achieve a low-power modem solution at these ever increasing data rates. If, e.g., powered by USB or power-over-Ethernet, a modem may only have available power budget of a few Watt. However, does digital signal processing, analog/digital conversion, or the RF transceiver pose the bottleneck? It turns out that alone traditional linear modulation and Nyquist sampling leads to a required power consumption for analog/digital conversion far beyond the available budget. Do we have to re-engineer our modems? Do we need to re-invent system theory for nonlinear operations? Some first answers shall be given, showing a pathway towards the feasibility of achieving 1Tb/s wireless. Let’s prepare for the 5G WLAN and 6G cellular speeds! Gerhard P. Fettweis earned his Ph.D. under H. Meyr's supervision from RWTH Aachen in 1990. After one year at IBM Research in San Jose, CA, he moved to TCSI Inc., Berkeley, CA. Since 1994 he is Vodafone Chair Professor at TU Dresden, Germany, with 20 companies from Asia/Europe/US sponsoring his research on wireless transmission and chip design. He coordinates 2 DFG centers at TU Dresden, namely cfaed and HAEC, and the 5G Lab Germany. Gerhard is IEEE Fellow, member of the German Academy of Sciences (Leopoldina), the German Academy of Engineering (acatech), and received multiple IEEE recognitions. In Dresden his team has spun-out fifteen start-ups, and setup funded projects in volume of close to EUR 1/2 billion. He has helped organizing IEEE conferences, most notably as TPC Chair of ICC 2009 and of TTM 2012, and as General Chair of VTC Spring 2013 and DATE 2014. The vision for 5G is compelling: a unifying connectivity fabric that will power an array of world-changing use cases and transform many industries. We are beyond talking about 5G vision, and well underway towards commercial network launches of the first 3GPP 5G New Radio (NR) specification – the global 5G standard. Learn about what new frontiers 5G will explore next as well as get an update on what technologies will be featured in upcoming trials, standardization and deployments of this transformational technology platform. Matt Grob is executive vice president of Qualcomm Technologies, Inc., and chief technology officer. In this role, he is responsible for oversight of Qualcomm's technology path, coordination of R&D activities across the Company, and development of next-generation wireless and adjacent technologies. The Company’s broad portfolio of research areas includes advanced cellular and unlicensed band technologies, satellite systems, semiconductor technology, computer vision, machine learning, and security technologies. In addition, Grob also oversees Qualcomm Ventures and Qualcomm Corporate Engineering Services, and he is a member of Qualcomm’s executive committee. Grob joined Qualcomm in 1991 as an engineer. His contributions include system design, standardization and project leadership for early CDMA data services; the Globalstar satellite based mobile voice and data system and later 1x EV-DO high-speed wireless Internet access technology. His focus on cellular data services led to his assignment as co-project engineer for the HDR (High Data Rate) program starting in 1997. This new high-speed Internet access technology became standardized as 1x EV-DO and was commercialized throughout the world. Innovations and techniques from these programs also helped UMTS’ evolution to HSPA. In 1998, Grob was promoted to lead the Company’s R&D system engineering group and in 2006, he became in charge Qualcomm’s Corporate R&D division, now known as Qualcomm Research. SDX: How Soft is 5G? Driven ultimately by efficiency, the CT industry has been relying on customized platforms and special-purpose equipment. The wireless and mobile systems of 1G through 4G also relied on these specialized platforms and equipment. On the other hand, the need for agility and forward compatibility in the 5G era has shed light on the importance of being “soft” going forward. This talk will highlight the exciting and challenging journey of the deep CT+IT+DT convergence; as well as the progress of an emerging end-to-end SDX for 5G, threading through CN, RAN, and AI. In 2011, she joined China Mobile as its Chief Scientist of wireless technologies, established the Green Communications Research Center, and launched the 5G Key Technologies R&D. She is spearheading major initiatives including 5G, C-RAN, high energy efficiency system architectures, technologies and devices; and green energy. She was an Area Editor of IEEE/ACM Trans. NET, an elected Board Member of IEEE ComSoc, Chair of the ComSoc Meetings and Conferences Board, and Founding Chair of the IEEE WCNC Steering Committee. She was a Professor at NCTU, an Adjunct Professor at NTU, and currently an Adjunct Professor at BUPT. She is the Chair of FuTURE 5G SIG, an Executive Board Member of GreenTouch, a Network Operator Council Founding Member of ETSI NFV, a Steering Board Member of WWRF, a member of IEEE ComSoc SDB, SPC, and CSCN-SC, and a Scientific Advisory Board Member of Singapore NRF. Her current research interests center around “Green, Soft, and Open”. 5G promises a transformation in the way industries do business and consumers live their lives with wealth of new features and capabilities compared to today’s status quo. Reviewing the timeline and potential launch of 5G technologies and services, the tasks ahead coupled of the enormous complexity of the work renders traditional approaches obsolete. Any new transformation especially one of this magnitude must follow a systematic process to deliver on the promise. New approaches are needed to compress the time from concept to commercialization otherwise introductions may be delayed, investments may skyrocket, or a combination of both. NI proposes a platform based approach to speed time to market that combines an innovative approach to system design with logical and efficient transitions to the testing of these new technologies in the product development and commercialization phases. Providing innovative platform components encompassing both hardware and software for prototyping this approach can be extended to product development by reusing these components in a number of different ways to break down the conventional barriers between design and test. This approach also facilitates more active collaboration between researchers and product teams to solve tough business challenges and accelerate the path to a connected 5G landscape. Starkloff invests his time in science, technology, engineering, and math (STEM) education by serving on the advisory board for the Bradley Department of Electrical and Computer Engineering at Virginia Tech and the board of directors for Urban Roots, an Austin-based sustainable agriculture program to transform the lives of young people. 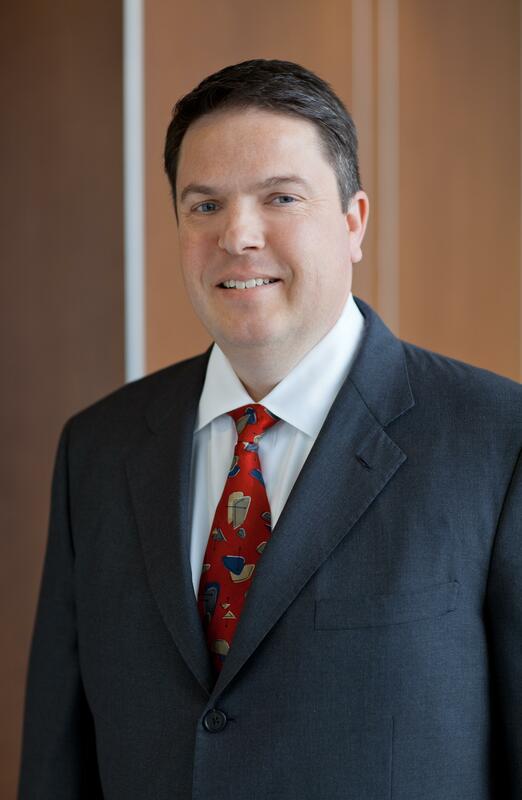 Starkloff holds a bachelor's degree in electrical engineering from the University of Virginia. 2017 promises to be a transitional year for 5G. Air interface and core network concepts defined both on a proprietary basis and by pre-standards forums will be deployed in trial configurations at scale. This will allow direct field performance assessment of 5G enhanced mobile broadband services at both sub-6GHz and mm-wave frequencies, and point the way towards commercial 5G deployments and services. This presentation there will first assess the resulting state-of-the-art in 5G air interface design, including the technical components and schedule of the emerging 3GPP New Radio specification. We then consider, on a regional basis, the state of global 5G spectrum availability including access mechanisms and coexistence requirements before moving to assess current progress and key challenges in implementing 5G, including trends in silicon, in RF and baseband implementations in devices and radio access infrastructure, and in core network design. We close with a look forward to the critical 2018-2020 period, when the world’s first operational 5G systems will emerge. Asha R. Keddy is Vice President in the Client and Internet of Things Businesses and Systems Architecture Group and General Manager of Next Generation and Standards at Intel Corporation. She is responsible for fostering innovation and industry standards in mobile communications, including investigating and developing new technologies, ecosystem intelligence and collaboration, and translating those activities into products. Her organization’s areas of focus include designing and developing tomorrow’s mobile technologies to create the future for the wireless ecosystem (4.5G to 5G, connectivity evolutions and platform evolutions) and translating these into products. Focus areas span driving a holistic end-to-end approach and technology office functions that include all forward looking components of Intel’s Communication and Devices Group such as RF, hardware, algorithms, systems, modems, early prototypes and platforms, as well as wireless standards. She holds multiple patents in mobile broadband technologies, with additional patents pending. This talk will explore the question of how the ‘5G era’ will transform human existence, and the potential impact on markets, economies and society as a whole. The key technological and architectural enablers will be discussed, and predictions will be made for the future of all things (or at least some key things). The new connected digital society with varieties of heterogeneous services (MBB and the IoT) provision has brought unprecedented challenges to future radio access and mobile core networks. Technology and spectrum innovations have to meet those diversified requirements for specific application scenarios within an integrated/unified radio access technology framework. This talk will illustrate the transformation from spectrum efficiency to service-specific evaluation metrics is needed. Key technology enablers will also be analyzed and evaluated to accelerate business success of 5G and the IoT. Yongxing Zhou is Vice President of Huawei Wireless Radio Access Technology Department and Head of MIMO and Spectrum Research Competency Center. He is currently working on 3GPP LTE-Pro and 5G technologies. Prior to 2014, he headed Huawei 3GPP LTE Standardization Team and particularly led development of LTE and LTE-Advanced technologies such as MIMO, FD-MIMO, CoMP, 3D channel modeling, ePDCCH and FDD/TDD Carrier Aggregation etc. Dr. Yongxing Zhou has more than 100 issued patents. Before joining Huawei, he was with Samsung from 2002 to 2009 working on IEEE 802.22, IEEE 802.11n standard and implementations as well as TDD related research. He received his Ph.D degree from Tsinghua University, China.